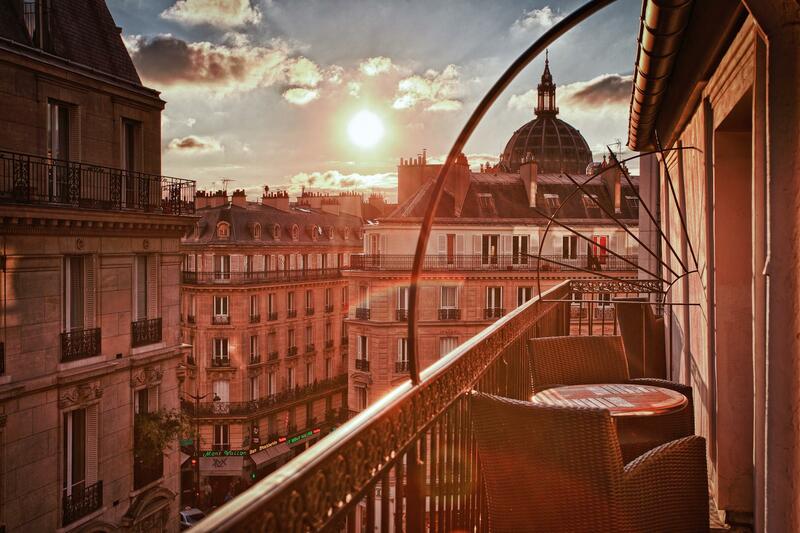 ﻿ Hotel Wilson Opera Paris. JIMAT di Agoda.com! Ada soalan mengenai Hotel Wilson Opera? 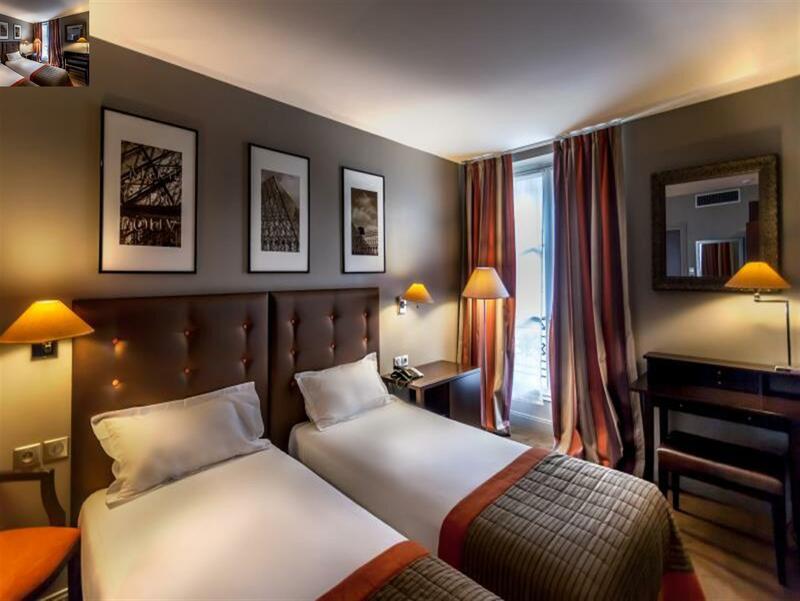 Sesuai untuk berehat dan bersantai, Hotel Wilson Opera terletak di area 8th - Champs Elysees di Paris. Hanya 28 km dari pusat bandar, lokasi strategik hotel memastikan tetamu boleh ke mana-mana sahaja dengan cepat dan mudah ke tempat-tempat tarikan. Untuk pilihan bersiar-siar dan tempat daya tarikan tempatan, pelancong tidak perlu pergi jauh dari hotel kerana semuanya berdekatan dengan Gereja St-Augustin, La Comtesse du Barry, Boulevard Haussmann Street. Hotel Wilson Opera juga menawarkan banyak kemudahan untuk memperkayakan penginapan anda di Paris. Untuk keselesaan dan kemudahan tetamu, hotel ini menawarkan Wi-Fi percuma semua bilik, meja depan 24 jam, fasiliti tetamu kurang upaya, daftar masuk/daftar keluar ekspres, simpanan bagasi. Semua bilik tetamu menawarkan pelbagai jenis tahap keselesaan. Banyak bilik turut menyediakan televisyen skrin rata, karpet, bilik persalinan, internet wayarles (percuma), bilik larangan merokok untuk memuaskan hati tetamu. Senarai lengkap kemudahan rekreasi boleh didapati di hotel, termasuk rumah urut. Apabila anda mencari penginapan yang selesa dan mudah di Paris, ijadikan Hotel Wilson Opera sebagai rumah anda seperti berada di rumah sebenar. I enjoyed my stay. Room was small as I expected but the intetior was lovely. We had a good stay. Very close to St Lazare station. Bakery and grocery only 1-2 mins walk. Staff were very welcoming and helpful. everything in the room is clean. 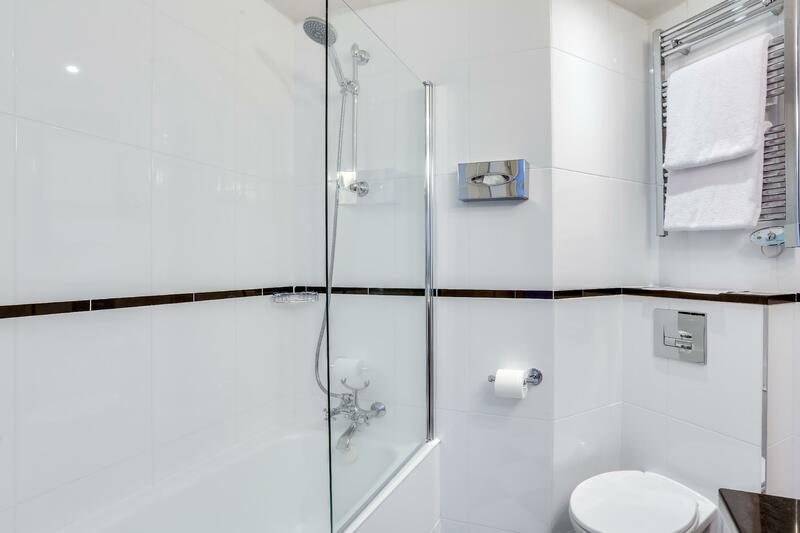 However should install shower curtain so water won't splash to the floor. washing basin table top is always very wet after using maybe can think of a way to improve. Location is convenient to move around. Small hotel and super friendly staffs. I requested a room change on the day arrival but changed my mind the day after. Zozan who received me didn’t show a slightly displeasure and helped me all the way as well as others things I needed in the rest of my stay. The hotel located at a quite street next to Saint-Lazare station, a big station with many metro lines to get you anywhere. It’s also a perfect spot to walk the city. Many famous destinations are within 30 minutes walk, not to mention countless cafes and fine dining restaurants nearby. I’ve stayed 5 nights and will definitely come back! Location - Quite convenient. It is very close to the Opera and shopping area. There is a direct bus from CDG airport to Opera then another 10mins walk to the hotel. It is next to a metro and a train station called Gare Saint Lazare, which has a direct train to Palace of Versailles. Also, it is walkable distance to different main tourist spots. Staff - Very friendly and helpful. They are professional and smiley. They gave us suggestions about restaurants and transports. It did bright our trip. Breadfast - small range of collection but good food qualify, good coffee and jouice. It is a lovely small hotel and I will come back again if I visit Paris. Hotel Wilson Opera exceeded our expectations. The staff were very helpful, and location was fantastic. Wi-Fi in our room was an issue however they are in the process of installing a new system so that should be fixed soon. We thoroughly enjoyed our experience and would definitely use this hotel again. 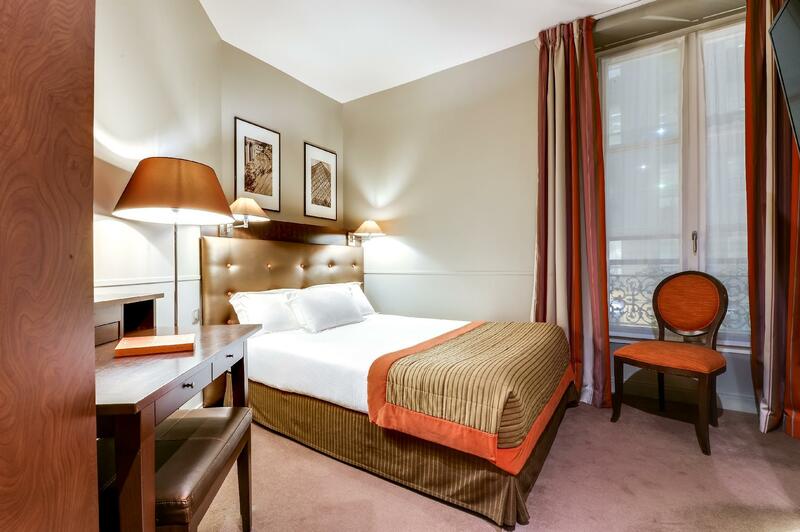 For serious shoppers, this hotel is located with in walking distance to both Printemps and Galleries Lafayette! Fruits and coffee are always ready. Room is very nice. One downer is that it doesn't have complimentary water in the room. The fact that there are no convenience stores nearby that are open late in the night didn't help. Otherwise the place is perfect for a short stay in Paris! Everything was sensational! The staff, the rooms, the location, and the best value for money. 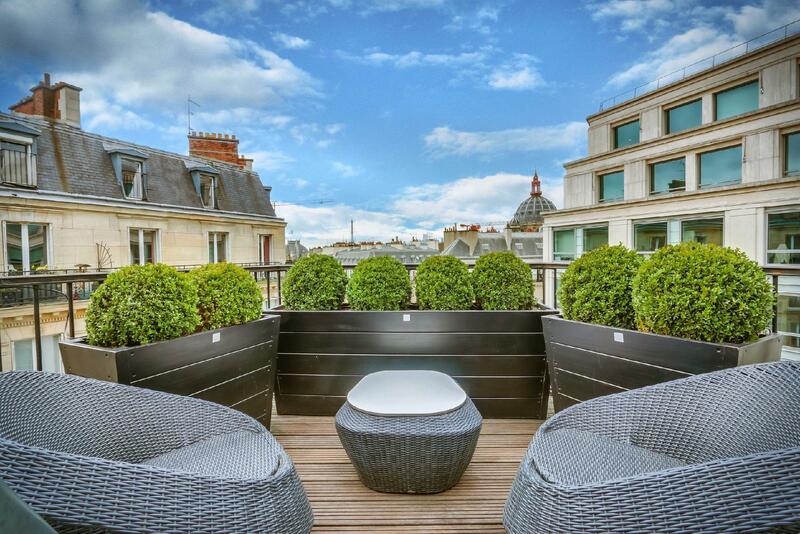 Only 1 minute walk to St Lazare station and a 10 minute walk to the Paris Opera Garnier. There’s a wonderful supermarket across the street as well as being close to gorgeous Brasseries, Boulangeries and shops. The staff are amazing and friendly - especially Nour and Marielle and George! Nothing was too hard and they put us at ease and ensured we were comfortable and happy. I will definitely be back to stay next time I’m in Paris! Thank you for an incredible stay! Very very very friendly and helpful staff. Room was on the small side but the view of the Eiffel tour was spectacular, balcony was lovely to sit out on. Location was brilliant. Quiet, while still being very central and a 2 minute walk to the closest metro and train station making it very easy to get from the airport. Would 100% stay again! Good location if you are riding the Paris metro or RER. Pleasant, helpful staff, especially Nour, Francois, Alexis. Fresh apples and apricots greet you in the lobby. Excellent WiFi with two live USB chargers in the room and lobby. Quiet and comfortable with windows that open to a quiet cobblestone street. Beds great. If you make the nespresso and finish in the lobby, no charge. Bring up to your room and pay two euros each. Boulanger just around the corner for very good breakfast options. Never bothered buying hotel breakfast. Too expensive for 4. Franprix across the street. G20 which we found to be a better market - more selection and better prices just a 4 minute walk. City bikes and ample overnight car parking on the street right in front of the hotel door. 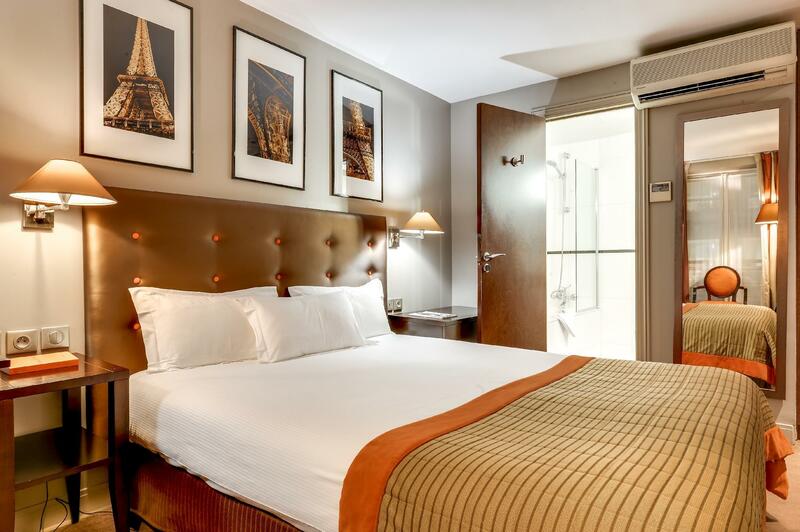 Good value for vacation month of August in Paris. Good-1. very helpful and friendly staff 2. Central location(metro & bus) 3. Many restaurants, cafes, supermarkets nearby 4. Room condition (value for the price) Bad- 1. Breakfast (it was ok but as a traveler who stayed there for 5 nights, i got tired of it on my fourth day and skipped the breakfast) 2. The hotel was much smaller than i expected, not much lounge space to linger about. The staff was very helpful and very polite. They were very very keen in making sure we enjoyed Paris by sharing with us attractions to go and things to do. French hospitality at its best. Hotel room was small but very clean and has all that you need. 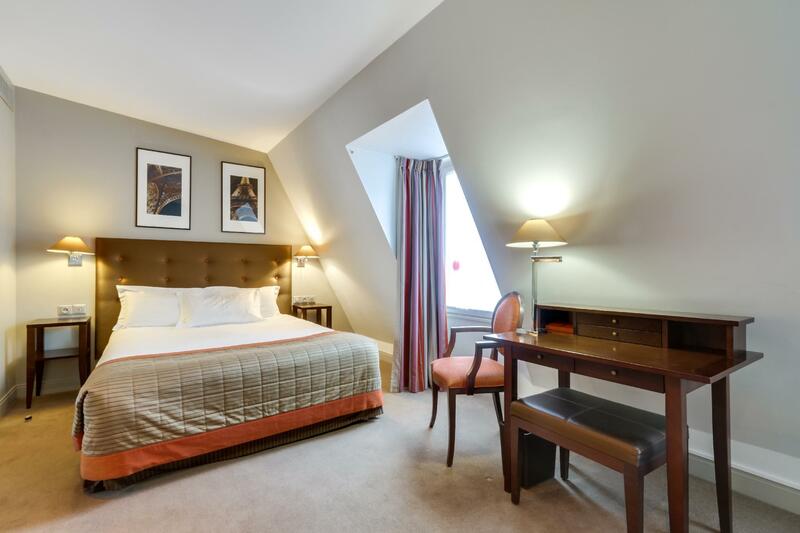 Location is superb and easy to reach, just a minute away from the train station gare saint lazare and supermarkets just around the corner. Will return for sure! Thank you hotel WO! 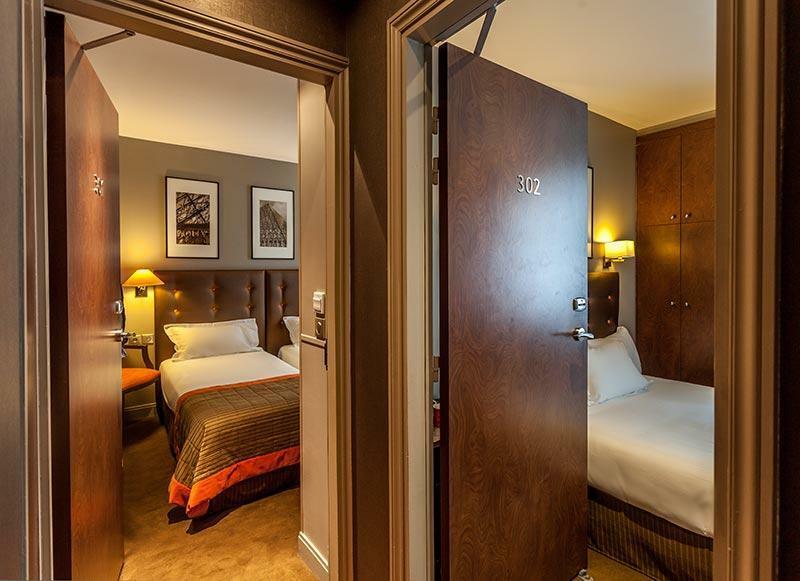 A great small hotel with a very helpful and friendly staff in a convenient location on a quiet street. The Wilson Opera was an excellent choice for our 8-day stay in Paris. We could get to any part of the city quickly, and there were convenient services just steps from our door. The hotel and street are so quiet that we could sleep with the windows open, if we wanted. We love this place. Hotel was minutes away from the metro. Staff was very friendly and willing to help, especially Nour & Batiste. Room was abit small, as most hotels in Paris are. I am not sure if they change my towels daily but the rooms were clean overall. If you mind the towels then I suggest bringing your own. I would use this hotel again. Very great service. Especially front desk is so friendly and helpful. Got free upgrade room. Most thx romain for helping us so much. Great hotel. Staff is very friendly. Good location. Easy access to Metro, Opera, Lafayette and airport.